Bathroom renovation. It’s where you start and finish your day so make sure your love it. With so many fixtures crammed into tight footprints and the not so obvious water leaks, bathroom remodels require highly skilled installation teams. Our bathroom remodels are beautiful, waterproof, worry free! 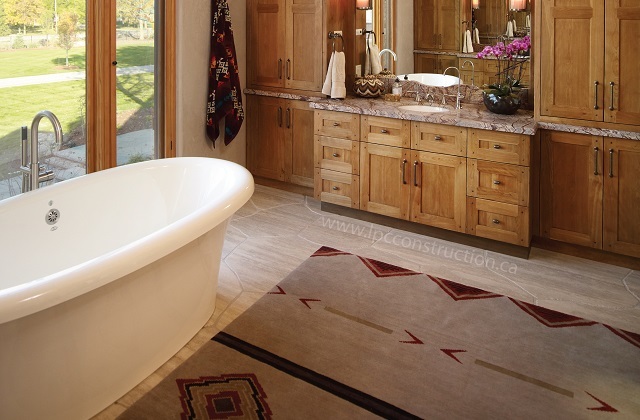 Our contractors specialize in bathroom renovations in Guelph, Ontario and will meet you for a consultation to discuss your tastes and gather all the necessary information to create cabinetry you’ll love. Whatever your style, we’ll put our know-how and expertise to work in providing you a turnkey project and designing, building and installing a custom vanity that is tailored to your preferences.